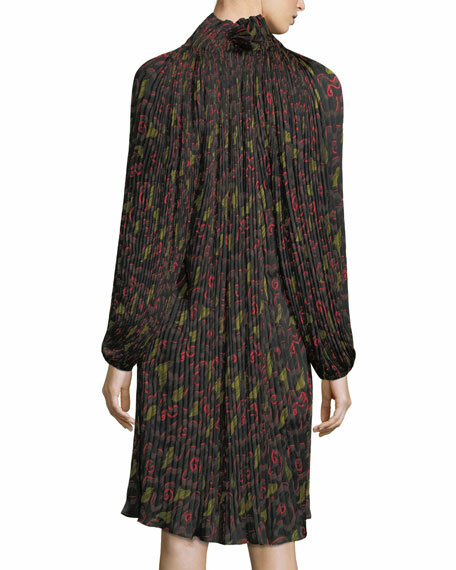 Opening Ceremony pleated dress in floral-print. Stand collar; split-neck with ties. For in-store inquiries, use sku #2366986.